When we last heard from Salesforce.com on the earnings front, the message was a tough one and the stock suffered mightily for it, perhaps in part because investors reacted to a quarter that was a tad slower than had been expected. Today the opposite is true. Let’s put it simply: Salesforce killed it this quarter, and the shares are soaring after hours. As of 5:40 pm ET, Salesforce shares are trading at $146 even, up $14.23 or nearly 11 percent. That is what we call a bullish pattern. So what happened? Results beat the consensus, for one thing. Earnings per share were 43 cents on a non-GAAP basis, beating the consensus of 40 cents. Sales were $632 million, knocking the consensus of $624 million on its hindquarters. Then came the guidance, which was in truth a mixed bag. The revenue forecast stomped on the consensus: Salesforce said it expects revenue of $673 million to $678 million, well ahead of the $663 million consensus. But? The EPS forecast is a bit off at 33 to 34 cents, below the 36 cent consensus. So what’s got investors so giddy? Maybe billings? Remember, Salesforce lives on subscription revenue, so while revenue on the topline is a good thing to have grow, the key metric is in the area of billings, which is a strong indicator of future business. And they’re up: Current deferred revenue is up by 41 percent to $1.3 billion. Unbilled deferred revenue, which represents sales for which there’s a contract but no billing relationship yet, is similarly up, to $2.2 billion up from $1.5 billion at the end of 2011. Salesforce also raised its guidance for the full year (it’s now in its fiscal year 2013) to as high as $2.95 billion. 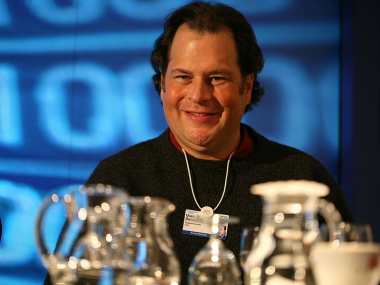 It was just a few years ago that Salesforce had its first billion-dollar year. Now it’s knocking on the door of its first $3 billion year. If that seems like it should have some sort of significance, it probably does. This cloud can float.